However, there are some reasons to care about table runner size. If you are planning one for a particular dining table (as is your situation), then there is one question I’d ask. Do you want the runner to remain in place when people are eating at the table? In that case, you would want to leave room beyond the runner for place settings. 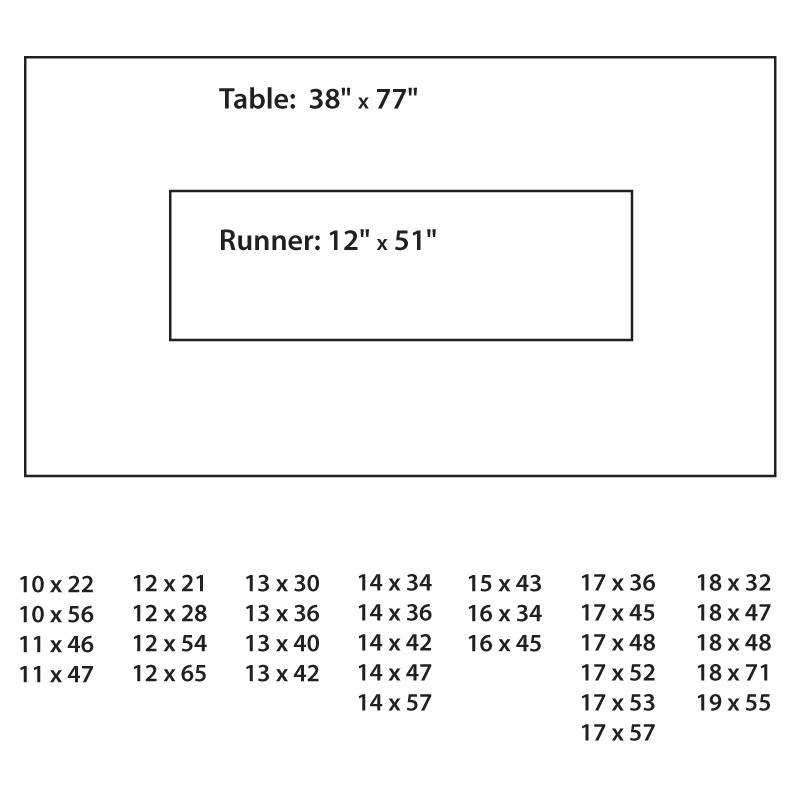 I’m thinking that would mean an area 12-14″ between the runner and the edges of the table. 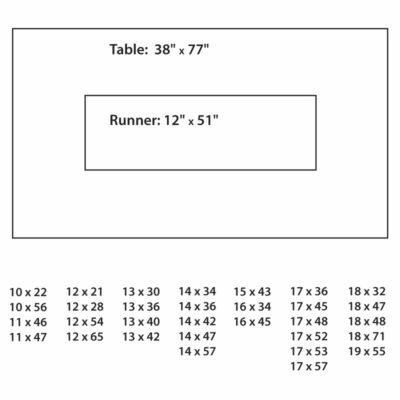 In the diagram below, I’ve guessed at the possible size of a runner allowing 13″ around the table runner. 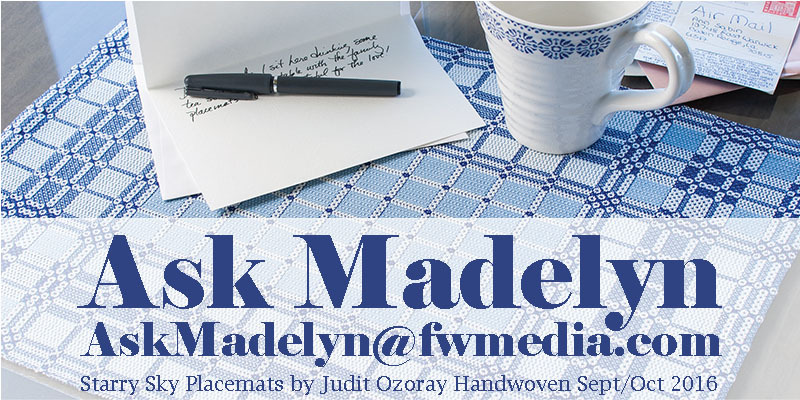 This question made me curious enough to look at table runner sizes in the three available eBooks: Best of Handwoven Top Ten Table Runners on Four Shafts, Top Ten Table Runners on Eight Shafts, and Technicolor Table Runners on Four and Eight Shafts. They are all in different widths and lengths; I’ve listed them all below. It’s sort of interesting that a middle range is about 14″ in width and 40–45″ in length. And about your second question: Most of the table runners in the eBooks are woven in 10/2 pearl cotton. In most weave structures, this yarn makes a table runner with an ideal hand. But just as successful are 5/2 pearl cotton, 8/2 un-mercerized cotton, 16/2 linen, and more.